Because a lot of poor people don’t have access to electricity (and thus light) lot’s of them still use kerosene lamps to light their home. 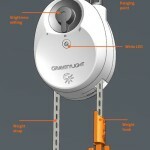 The team from GravityLight.org made this innovative solution for this problem. It not only provides light, but also gets rid of the unhealthy burned kerosene fume. 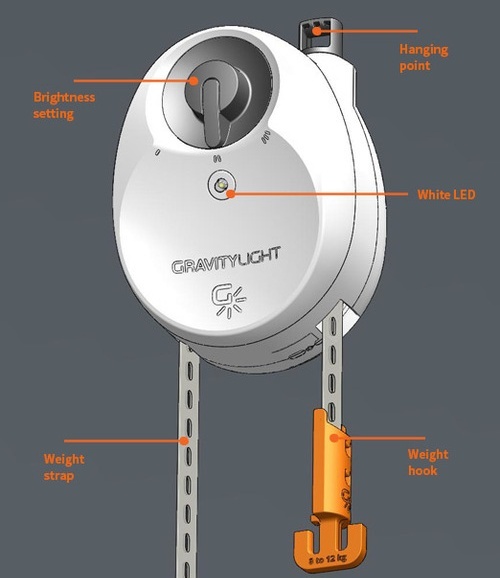 GravityLight is a solution to provide light using gravity. Just like an old clock, you pull up a 12 kg weight and it slowly starts falling down (about 1mm / second). This movement powers a drive sprocket. A geartrain running through the product turns this input into a high speed, low torque output that drives a DC generator at thousands of rotations per minute. This generates just under a tenth of a watt to power an onboard LED and ancillary devices. Given the ever-increasing efficiency of LEDs, this produces a light over 5 times brighter (lux) than a typical open-wick kerosene lamp. If like this product you can order it at their website.